Winner, winner, chicken dinner, y’all! 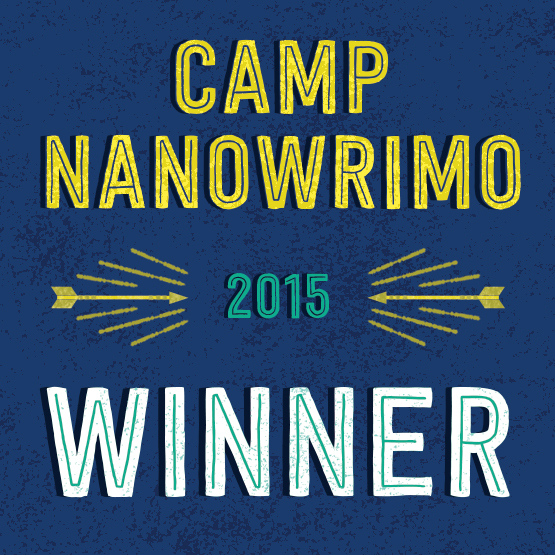 Camp NaNo, which just wrapped up at the end of April is a much more laid back version of the main NaNoWriMo event in November, but I still found it to be helpful. I started Camp with about 60,000 words in my draft and a goal of adding another 20k within a month. I’m now at about 81,500 total words, with a long way still to go in terms of finishing the draft so that I can start cutting and editing. Since you can set your own word count goal, there was much less pressure to produce, which is good and bad. Camp wasn’t quite as all-consuming as the main event, but it was still a good experience.